Sometimes you visit a place that just speaks to you. It fits you like a glove. Every nuance, every little touch and gesture sounds a chord. So much so, that by the time you leave, the place has become more than just a geographical location. It stays with you, haunts you and comes to you unexpected in the watches of the night. For the past few weeks, that place for me has been the Cary Arms. Jaded and harassed at the end of an enjoyable, but nonetheless long and tiring Christmas break, the family and I stole away for further solace while the rest of the populace slouched back to work. We came to Babbacombe; from my sepia-tinged memory, a tired, grainy, seaside town, perched on a peninsular just around the corner from Torquay. But The Cary Arms was neither sepia-tinged, tired nor grainy, and a painfully short two days later yet we left, rejuvenated by one of the most enchanting brushstrokes of Old England you could hope to find. Nestled at the bottom of a frighteningly steep hill road, the Cary Arms – a Lana de Savary property – consists of a quayside inn, cluster of former fisherman’s cottages and a pier which juts out into the gunmetal blue sea. It has a quiet serenity that gently envelops you as the minutes of your stay tick by. Even the seagulls are in on the act; they flop overhead as if for effect, utter a reassuring squawk then exit stage left to leave you in peace. As soon as we arrived after endless weeks of constant rainfall, that blessed entity the Gulf Stream settled down cosily on top of us like a broody hen. Our lodgings were a fishermen’s cottage, clean as a pin, cheerful and with astounding sea views from seemingly every vantage. My daughters’ eyes widened when shown to their room, complete with fishing net, bucket and spade each and a stick of rock on their pillows. 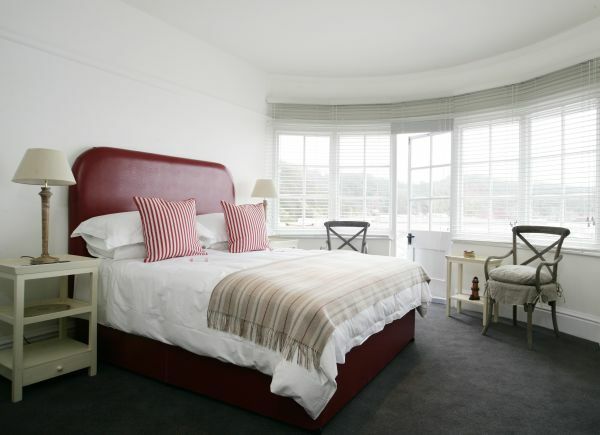 Fully equipped to self-cater, these cottages come in one, two, three and four-beds. The inn – which forms the focal hub of the tiny community – has a further eight rooms as well. Other guests – many off walking with their dogs or pootling around the gardens staring dreamily across the ocean – also seemed to be under the spell of the place. All we encountered, whether striding down to the pebble beach or sitting cosily in the bar, wore the tired, happy, windswept expressions of the renewed. The pull of the gin clear waters around the bay is compelling, whether to hunt for scuttling crabs on the shoreline, clamber on the gentle rocks or watch the eerie nocturnal torch play of the scuba divers who venture into the calm and safe waters to dive for scallop, lobster and fun. Unprompted, after only a few hours of arriving, my eldest daughter announced that this was the best holiday she’d ever had. I knew how she felt. Staff were genuinely delighted when we asked to make the most of the balmy conditions and dine outside on the decking for breakfast. So much so, in fact, that they set us up on The Captain’s Table; the premier outdoor table on it’s own little bandstand, perched atop the rock and overlooking the splendour of the bay. It even has its own bell, to be rung when dolphins are spotted, which apparently they frequently are. Our food was sublime, the freshest possible fish from nearby Brixham and other produce from the bounty of Devon. Nothing was too much trouble. A seafood medley featuring crab, mussels and brill lingers particularly in the memory. Into the further depths of the inn are window seats, library spots, fireplaces, nooks, crannies and portholes; places where one can sit, read, dream, play dominoes. 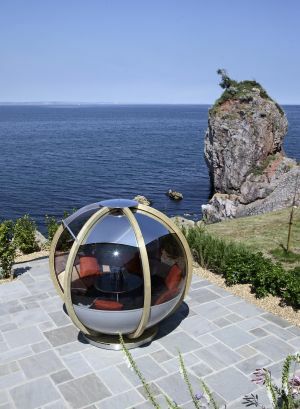 In line with our newfound spirit of joie de vivre, we even dined al fresco in the evening, albeit in the futuristic plastic pod structure in the gardens. This could have been a bit of a gimmick – but like everything else, it just worked. It was fun and again staff served us with pleasure even though it meant traipsing everything around in the dark. 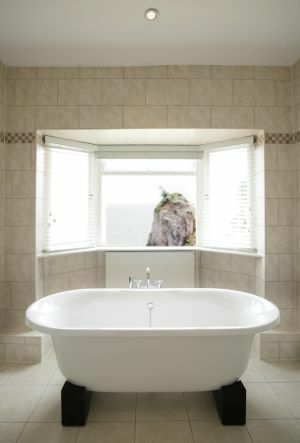 Behind our cottage lay a set of steps leading up to a custom-made summer house, painstakingly constructed high up the cliffside and commanding a breathtaking view of the bay. Each evening, I climbed these stairs with a Scotch and Havana, both available from the bar, and sank into one of the thoughtfully provided safari chairs to gaze at the spectacular show of stars above. No light pollution in this little corner of heaven – just shooting stars, the faint wisp and scent of wood smoke and the gentle, healing lap of the waves below. Do what it takes to get there. Use up your precious holiday entitlement. Go, go, go. 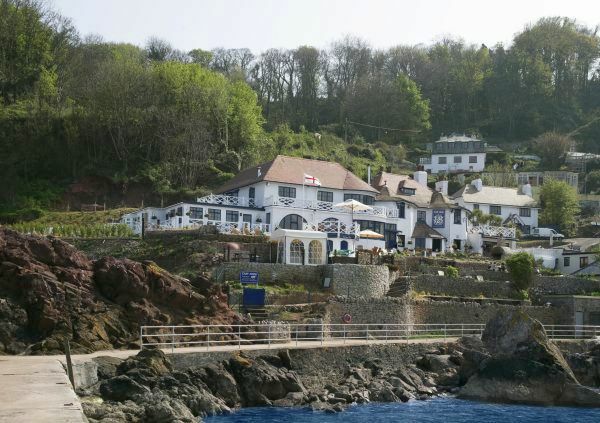 Cary Arms, Babbacombe Beach, South Devon, TQ1 3LX. Tel: +44 (0)1803 327110. For more information and rates, visit the website.